The SNJ-4 is a derivative of a trainer ordered by the U. S. Army in 1935 and designated as the BT-9 (Basic Trainer No. 9). North American Aviation entered the aircraft designed by J. H. "Dutch" Kindelberger, J. L. Atwood and H. R. Raynor-in the U.S. Army Basic Training Competition in 1935. The North American entry was ordered into production as the BT-9 and was followed by the BT-9A, B, and C. In 1936, the U. S Navy, under an Army contract, acquired 40 NJ-1s. (The Navy designation was N = trainer, J= North American with the 1 representing the first trainer built for the Navy by North American.) During the Second World War, the aircraft became the advanced trainer for the Army, Navy and Royal Air Force among many other air forces. The Army then designated it the AT-6 Texan (Advanced Trainer No. 6), and the Navy designated it the SNJ with the S standing for "Scout" which translates to advanced trainer, while the Royal Air Force designated it the Harvard. Ultimately more than 40 countries acquired this remarkable aircraft over a production run that started in 1935 and did not end until the 1950s, including modifications. Because not all the records are available it is not possible to state precisely how many were built but it is very close to 15,000. The SNJ-4 is a derivative of a trainer ordered by the U. S. Army in 1935 and designated as the BT-9 (Basic Trainer No. 9). North American Aviation entered the aircraft designed by J. H. "Dutch" Kindelberger, J. L. Atwood and H. R. Raynor-in the U.S. Army Basic Training Competition in 1935. The North American entry was ordered into production as the BT-9 and was followed by the BT-9A, B, and C. In 1936, the U. S Navy, under an Army contract, acquired 40 NJ-1s. (The Navy designation was N = trainer, J= North American with the 1 representing the first trainer built for the Navy by North American.) During the Second World War the aircraft became the advanced trainer for the Army, Navy and Royal Air Force among many other air forces. The Army then designated it the AT-6 Texan (Advanced Trainer No. 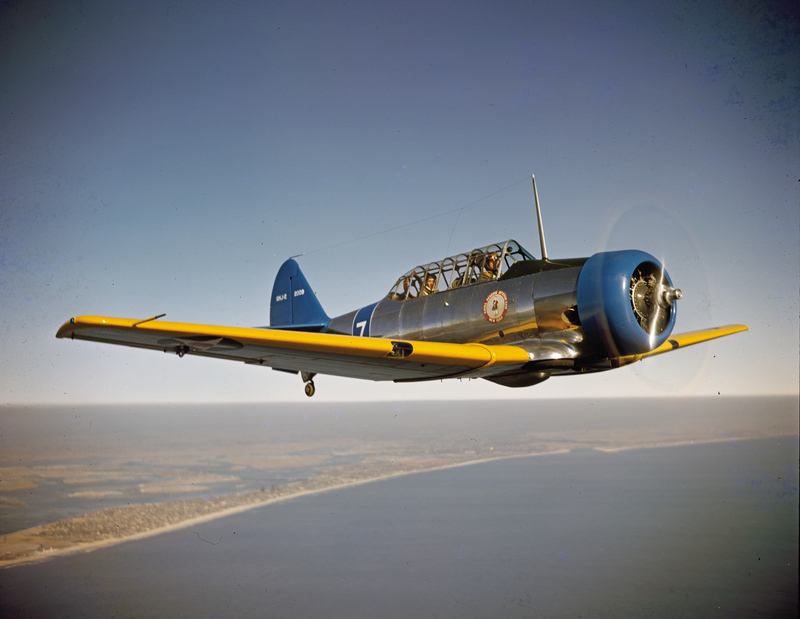 6), and the Navy designated it the SNJ with the S standing for "Scout" which translates to advanced trainer, while the Royal Air Force designated it the Harvard. Ultimately more than 40 countries acquired this remarkable aircraft over a production run that started in 1935 and did not end until the 1950s, including modifications. Because not all the records are available, it is not possible to state precisely how many were built but it is very close to 15,000. Argentina, Belgium, Brazil, Canada, Cambodia, Chile, China (Nationalist in WWII and the Taiwan Self Defense Force), The Congo, Cuba, Denmark, Dominican Republic, Ecuador, France, Greece, Honduras, India, Indonesia, Iran, Iraq, Israel, Italy, Japan (The Imperial Navy prior to WWII and the Japanese Self-Defense Force after WWII), Laos, Morocco, Netherlands, New Zealand, Philippines, Portugal, South Africa, South Korea, Spain, Sweden, Pakistan, Thailand, Tunisia, Turkey, Uruguay, Venezuela, Yemen, Yugoslavia, and Zaire. No other training aircraft has been purchased, built and operated by such a large number of countries. During the Second World War tens of thousands of young men trained to be U. S. Army pilots and Naval Aviators in the Texan. After advanced training they went on to operational units where they refined their skills before flying in combat in Europe, Asia, and the Pacific. Without the Texan, or an aircraft very much like it, it would have been difficult to train the enormous number of pilots required to conduct the extensive aerial campaigns that characterized a vital portion of the war against Germany and Japan. The SNJs in the U. S. Navy not only trained student Naval Aviators to fly from training airfields but also trained them in the demanding techniques of carrier landing and take offs. The SNJ-4C (C for carrier modification) included an arresting hook that enabled student aviators to become carrier qualified. 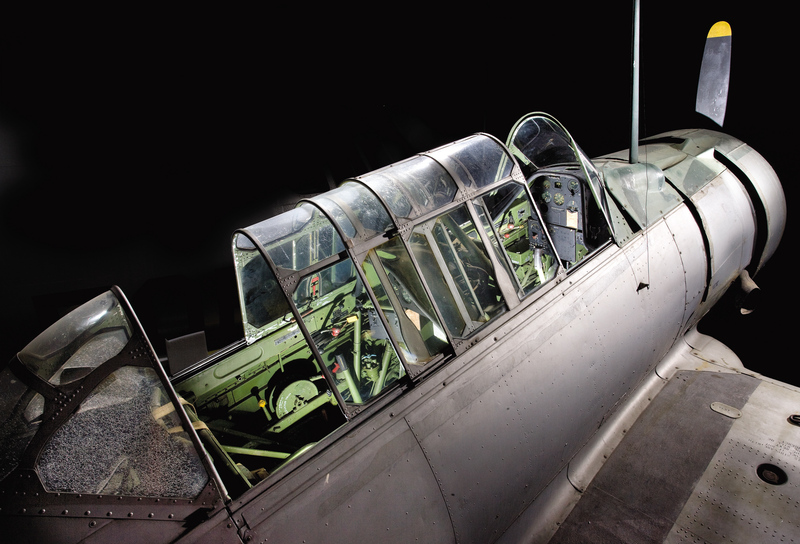 When the Second World War ended, the services believed that the AT-6/SNJ aircraft were at the end of their useful service life and would soon be replaced by more advanced designs. That conclusion and the fact that the level of pilot training was sharply diminished led to a decision to place thousands of these aircraft in storage, consign them to the Reserves, and to sell as many as feasible. This decision proved to be a bonanza for arms merchants all over the world and accounts for many of the countries, which appear in the list above. As events developed, the new designs that were anticipated did not materialize and the Korean War broke out. In the early 1950s both the U. S. Air Force and the U. S. Navy were tasked with a major increase in pilot training to meet the needs of the Korean War and later the increased force levels required for the Cold War. 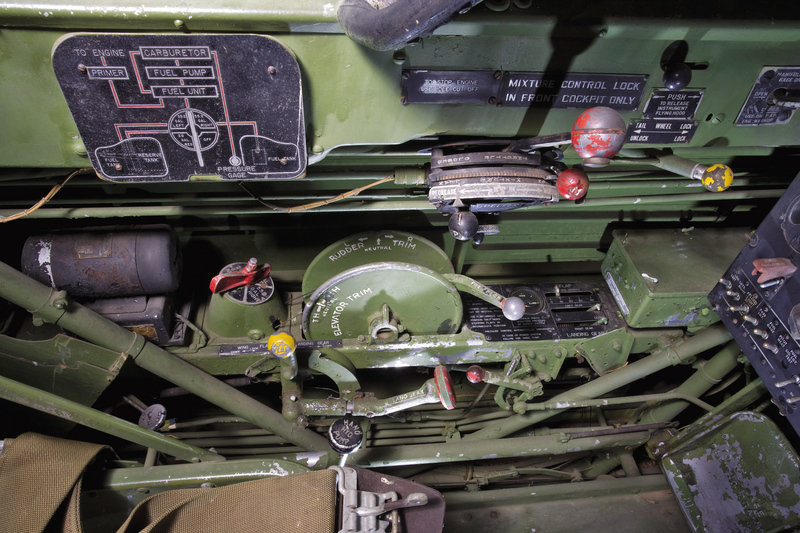 Unfortunately, all the Second World War basic trainers had been sold or scrapped and no manufacturer was equipped to deliver new ones. The only solution was to bring the venerable AT-6/SNJ Texans back into service. The Air Force conducted some basic training in chartered light planes but the Navy did not. The SNJ became the basic trainer for Naval Aviators. During much of the 1950s, while the level of pilot training was steadily increased, the Naval Air Basic Training Command was equipped entirely with SNJs. During this period, primary flight was conducted at Whiting Field in Milton, Florida, with a few primary students based at Corry field in Pensacola. Whiting Field at that time was an impressive sight. Literally hundreds of yellow SNJs were in constant motion taking off and landing, flying to outlying fields to practice the primary training syllabus which included landing and take offs, crosswind landings, emergency landings and procedures, stalls and spins, and acrobatics. Once past the primary stage, student Naval Aviators were transferred to Saufley Field in Pensacola to learn formation flying. Now instead of hordes of yellow SNJs taking off individually, flights of six aircraft, all flown by students and chased by an instructor, were taking to the air to introduce these young men to the fine arts of formation join-ups, break-ups, and formation flying, including formation acrobatics. At Saufley, student Naval Aviators acquired the skills in formation flying that would eventually become second nature. Once designated as Naval Aviators and flying tactical aircraft in the Fleet or Fleet Marine Force, almost every mission would be flown in formation. Upon being introduced to formation flying, students almost invariably were apprehensive about flying so close to other aircraft. Once accustomed to formation flight they would be uncomfortable on those occasions when they had to fly alone. After Saufley, the students moved on to Barin Field to learn gunnery and to qualify aboard the carrier. The lessons learned at Saufley were now put into practice. All of the gunnery flights were flown in formation to and from the firing area. Carrier practice was conducted individually on a runway marked to resemble a carrier deck. The flight from Barin Field to the carrier was flown in formation. The last field was Corry where the students were introduced to instrument flight. This training was done with an instructor in the front seat and the student in the rear seat, which was equipped with a canvas "hood" completely surrounding the student's head and shoulders. After take-off the instructor would direct the student to "go under the hood". 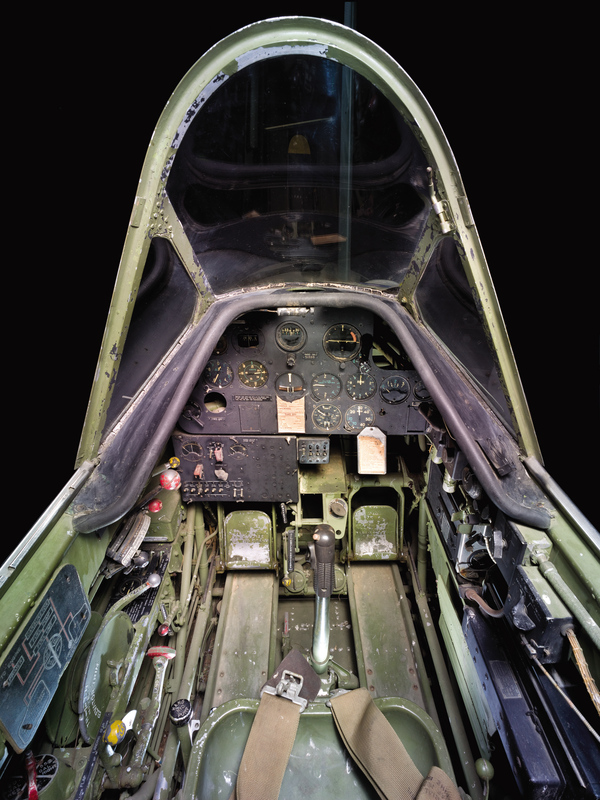 Once that was accomplished the student had no visual reference outside the cockpit and was required to pilot the aircraft entirely by reference to his flight instruments. After learning how to maneuver the aircraft wile using instruments, he learned radio navigation and was required to locate and fly to various positions on the ground with no visual reference. At the conclusion of Basic Training the student Naval Aviator had spent about a year in the Pensacola, Florida area, had learned all the basic skills required of a future Naval Aviator, and had amassed a little over two hundred hours of flight time, all of it in SNJs. In addition to the training commands, the Air Force, Navy and many foreign air forces operated the AT-6/SNJ for a variety of administrative and liaison missions well into the 1950s including tactical use as a "Target Director" during the Korean War. To this day, acrobatic teams and individuals are still flying AT-6/SNJ aircraft and having a lot of fun doing it. It is remarkable that an aircraft that was designed in 1935 is still flying in so many places all over the world, after having served as the mainstay pilot trainer, both advanced and basic, for the U. S and many other nations. NASM's SNJ-4, BuNo 51398 served in the U. S. Naval Basic Training Command from 1943 to 1945, serving as an advanced trainer for the future Naval Aviators who would fly in the Pacific with the Navy and Marine Corps. 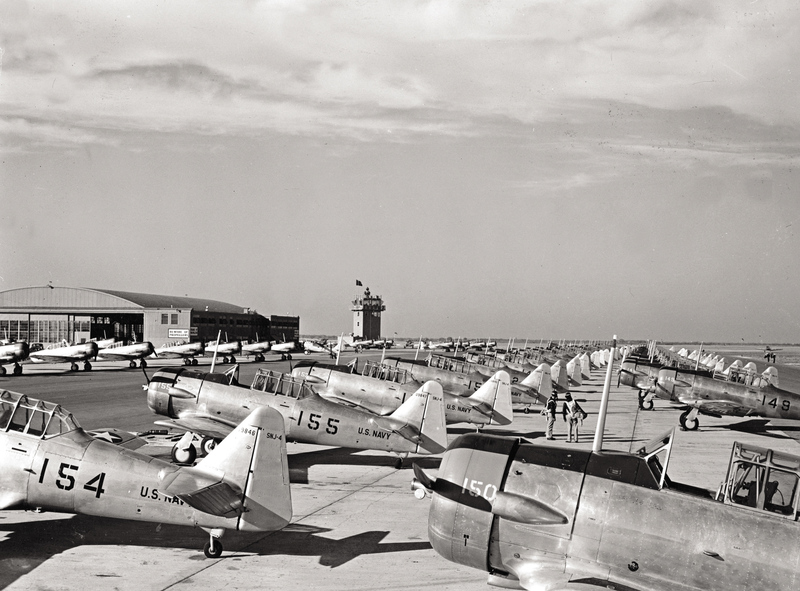 After the Second World War, it was transferred to the Reserves at NAS New Orleans. In 1953 it was returned to the Basic Training Command at Whiting Field, where it served until1955 when it was stricken from the Naval records. It was added to the collection of the National Air and Space Museum in September 1960.